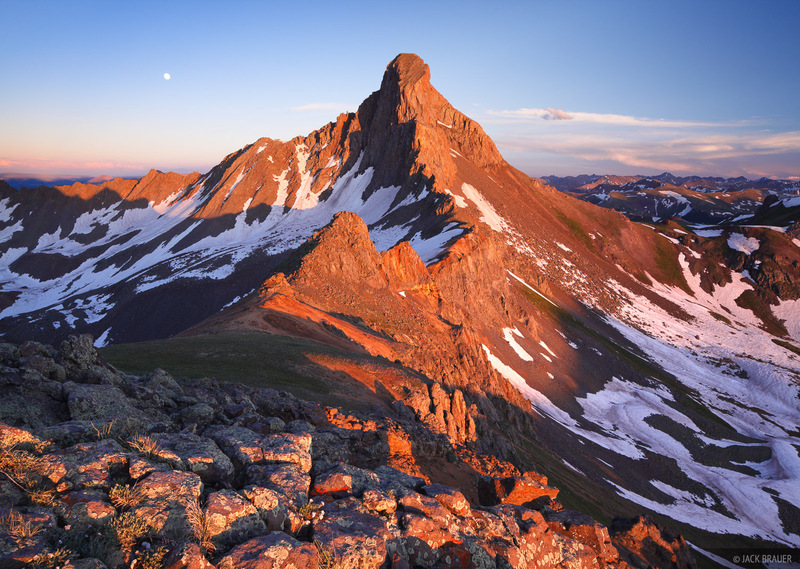 Sunset light on Wetterhorn Peak (14,015 ft.), a fourteener in the Uncompahgre Wilderness - July. . Photo © copyright by Jack Brauer.